Hi Mamas and Daddies! 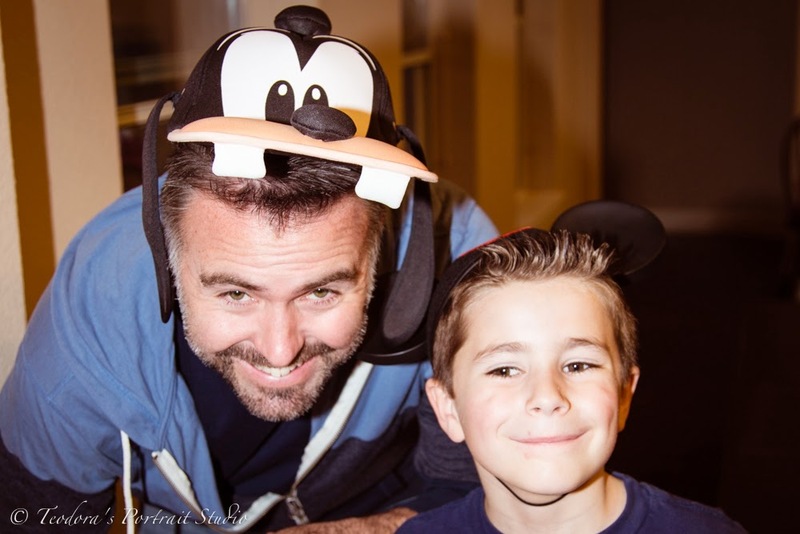 I am long overdue in sharing a full recap from our #DisneySide @ Home Celebration. It was an incredible event and we feel so honored to have been chosen to participate. 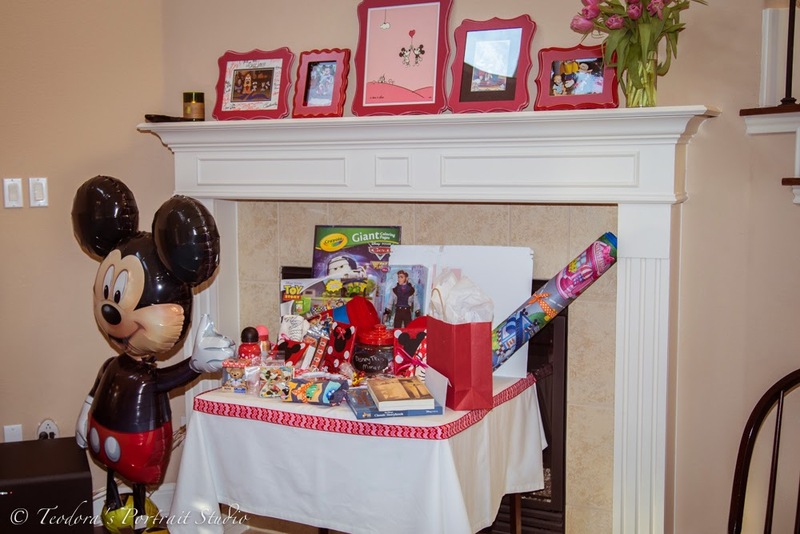 I did receive free products in order to host the Disney Side @Home Celebration. The opinions expressed here are my own. 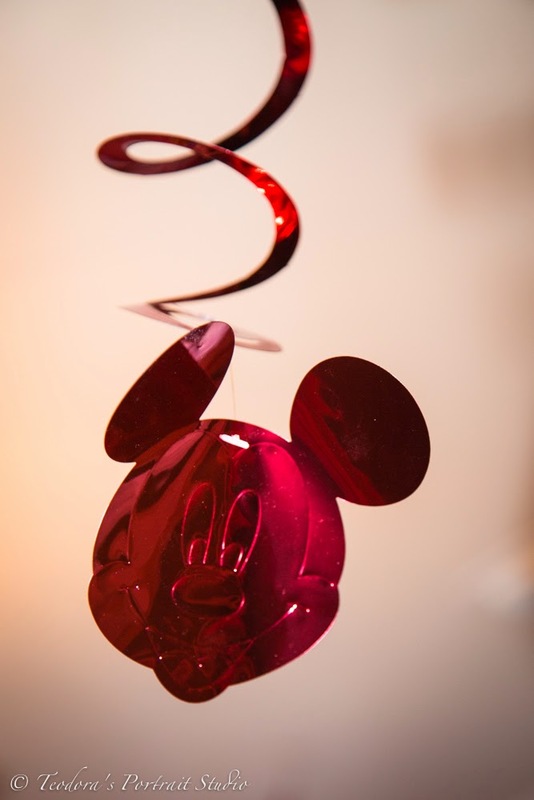 If you would like information on how to host your own @Home Celebration, check out this great site at Disney Side Celebrations. When the celebration kit arrived I could hardly contain my excitement! I had already read about others and seen people do a big reveal. 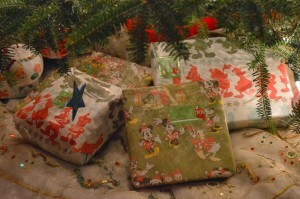 Most kits were the same contents so I didn’t do a big reveal plus I wanted our party attendees to have some surprises. 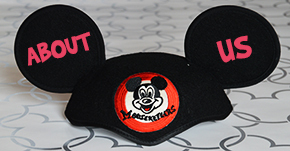 Inside the kit contained : Games, plates, napkins, cups, Cranraisins, the most adorable posters with Mickey and Minnie, Run Disney! signs, Run Disney Stickers, tattoos, a face painting kit, tons of HP Photo Paper, Muppet calendars, Mickey Head cookie cutters, and instructions and recipes. All of this was in our hostess gift-an American Tourister suitcase! 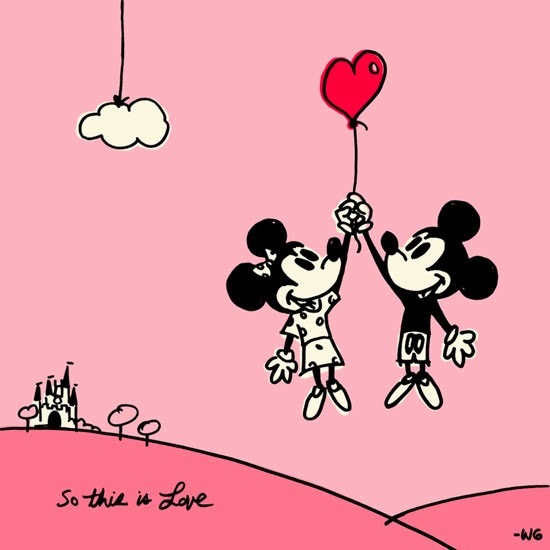 Ours happened to be red and black, yes like Mickey Mouse! It is the perfect carry on bag for our trips to Disney. The credit for most of today’s post photography goes to Teodora Pogonat Studios. I can’t say enough good things about working with her. The photos speak for themselves. You are able to view all of the ones she shared with us here. And she graciously made it where you could download any of the photos you would like of your family complimentary. 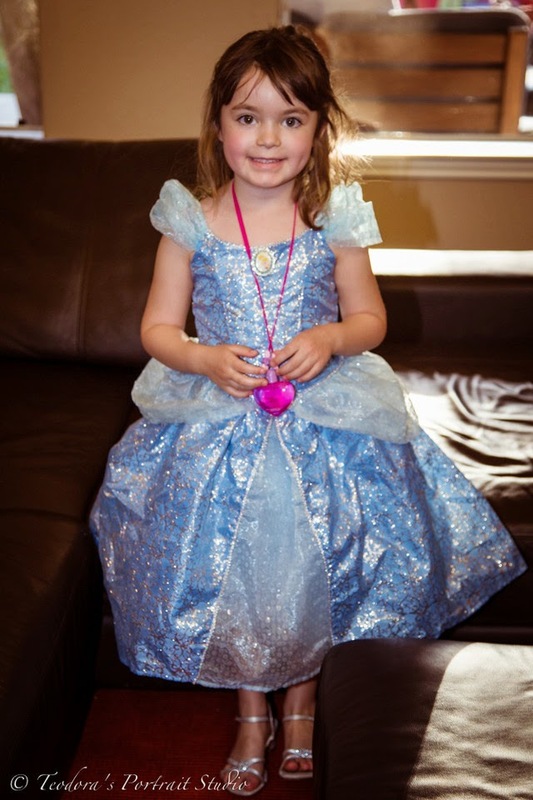 We opted for the Love of Disney as our theme and chose February 15th for the party date. We used a picture of the poster for the evite and online posts. Once that was all set I went to work contacting some local people to help me with this adventure. The results were astonishing! 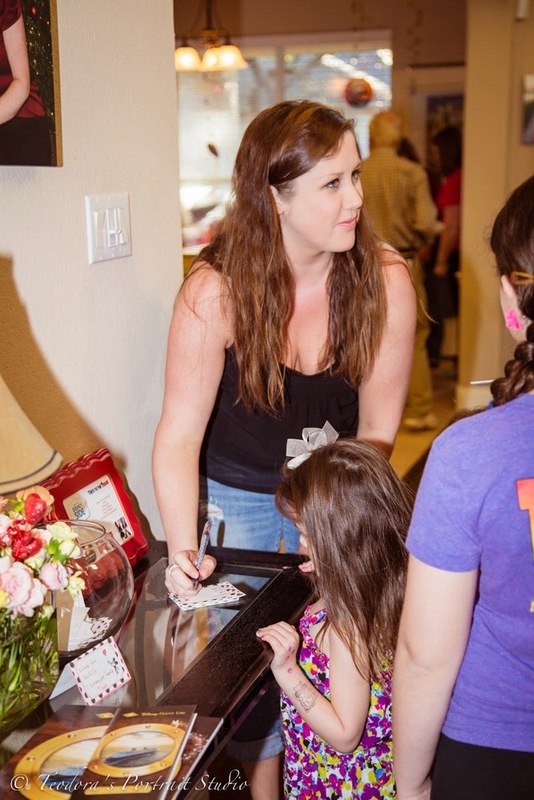 Entertaining is something I enjoy greatly and I’ve been told we put on great parties. I think this one may have topped all others, even the birthday party that Santa made a special appearance! The companies that volunteered were mostly local but I did have a few preferred vendors I use for my Disney clients for gifts and things that also participated from afar. I will have a separate thank you post just for the sponsors in case you missed their shout outs on Facebook and Twitter. It was truly special to see so many local companies participate in our #DisneySide@HomeCelebration! 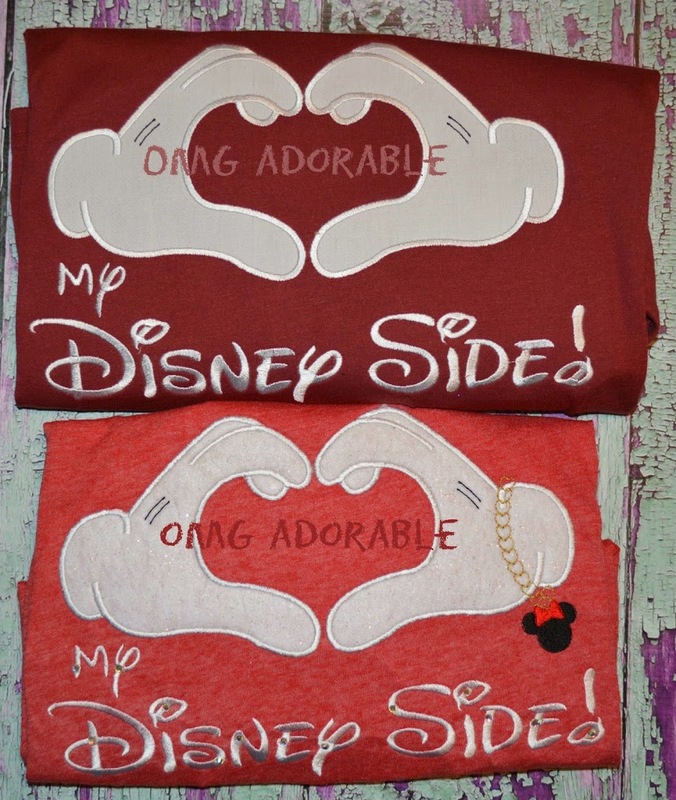 We had matching Love My Disney Side shirts made for us and the kids wore Trips To The Mouse shirts. We always wear Disney themed clothing in the parks and wanted to show that Disney Side. You also saw some Run Disney! shoes wandering around our house but us and some guests. I loved seeing the children who chose to come in costumes and the adults who even went a little Goofy showing their #DisneySide! 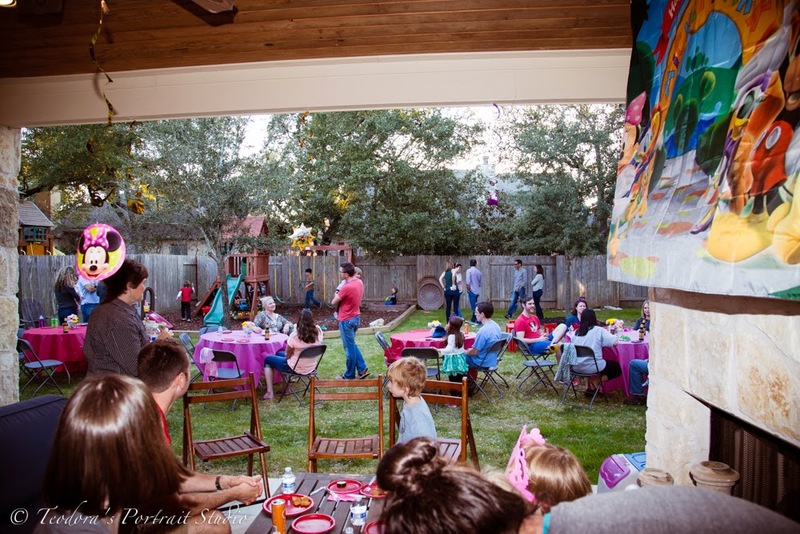 We hosted the party at our home. We stopped counting once we hit 100 people but if I had to guess I would say 120-130 people came. I invited my local clients as a thank you to them(we are travel agents that specialize in Disney after all! ), my children’s classmates, my mom’s club, and our other family and friends. It was chaotic but also so much fun! Everyone who came had a blast! 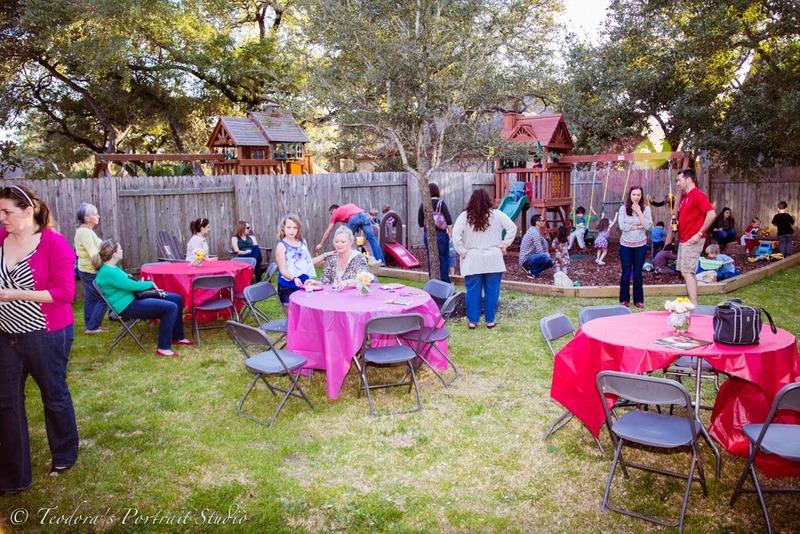 We had people upstairs, downstairs, and thank goodness for the gorgeous day because we filled up the backyard too! The party was scheduled to go 4:30-7:30. The last “non-family” guest actually left around 9:30. Our dear friends that are like family stayed and helped clean up the outside. We didn’t quite realize how much they had done until the morning but THANK YOU! I always take it as a compliment when a party goes well past the expected end time. It means people were having fun and felt comfortable. 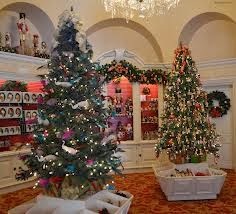 When you first walked in we had a room dedicated to learning more about Disney and all of their destinations. 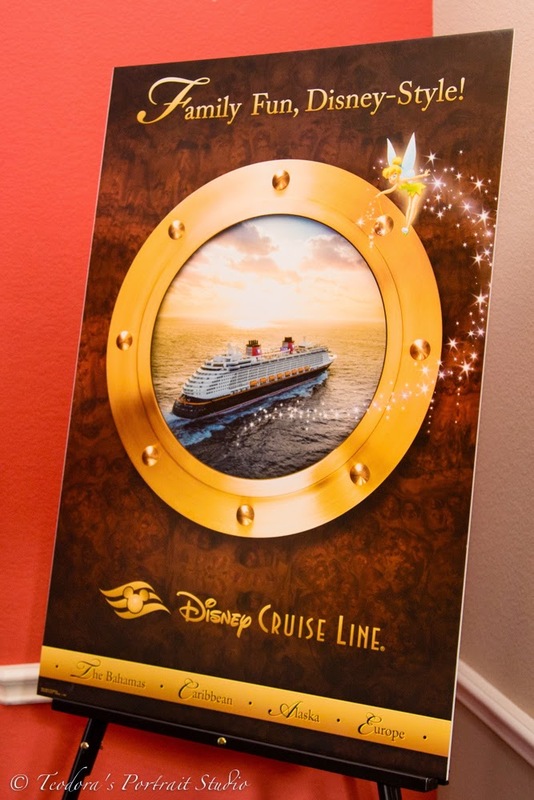 Most people are familiar with Disneyland and Walt Disney World and even the Disney Cruise Line. 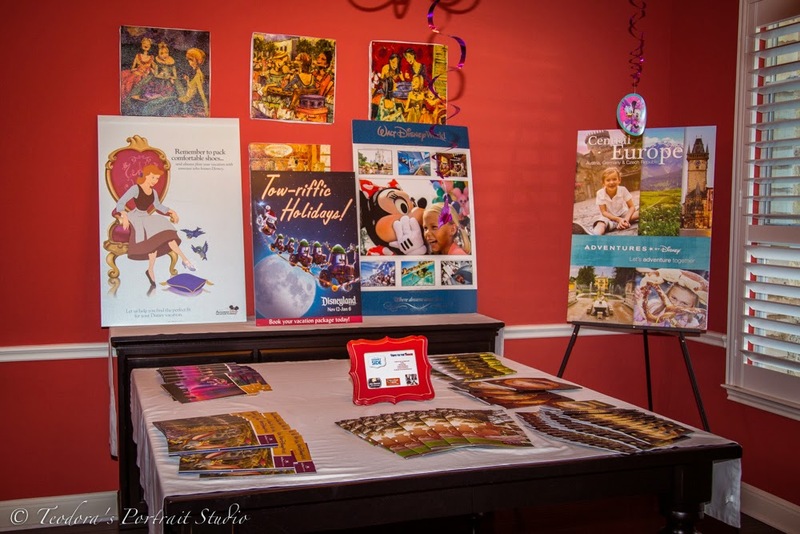 We also showcased Aulani, Disney’s resort in Hawaii, and Adventures by Disney, Disney’s world wide destinations that immerse you in the culture of your destination as well as give you a VIP experience. Then people were directed to the raffle sign up table and they could check out the prizes! The prizes were a collection of my shopping spree at the Disney Store Outlet(don’t look at the receipts honey) and donated prizes and a few things from the hostess kit. We had over 30 prizes to give away! I felt like I was calling a name every few minutes to win a prize. 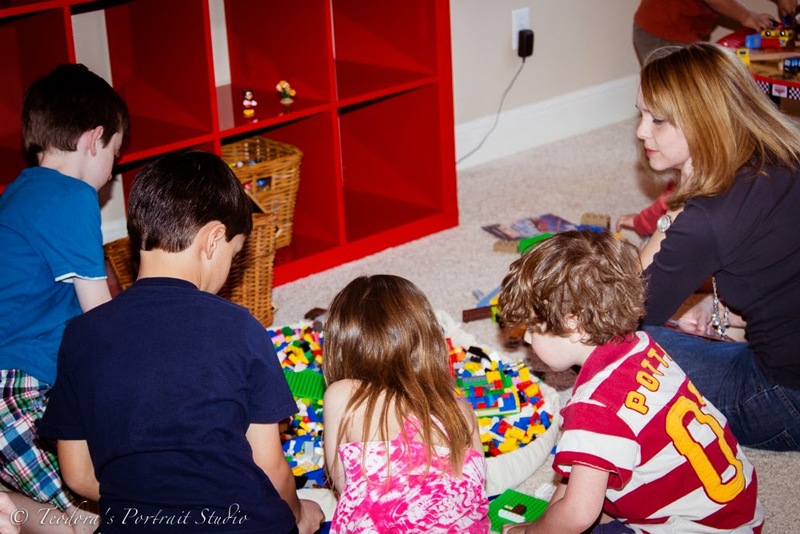 The Grand Prizes were a $25 Disney Gift card that I purchased, a $50 gift certificate for Kimberly’s Kakery, a local bakery, and the ultimate grand prize was a Lego birthday party for up to 12 kids provided for by Snapology. We also gave away three prizes in an online rafflecopter giveaway for people who showed some love for our sponsors via our facebook page. Next up was the food! So so much food! 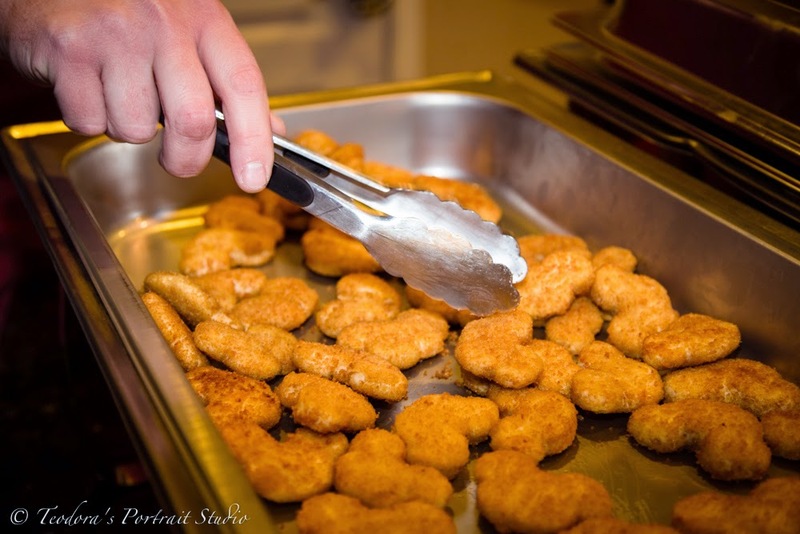 We mostly served the kind of snack food you would find in the parks. I did not replicate exact recipes though. We had Mickey Mouse chicken nuggets that we found at Costco, Grapes, Popcorn, some veggies and pretzels. We also had a huge variety of desserts! 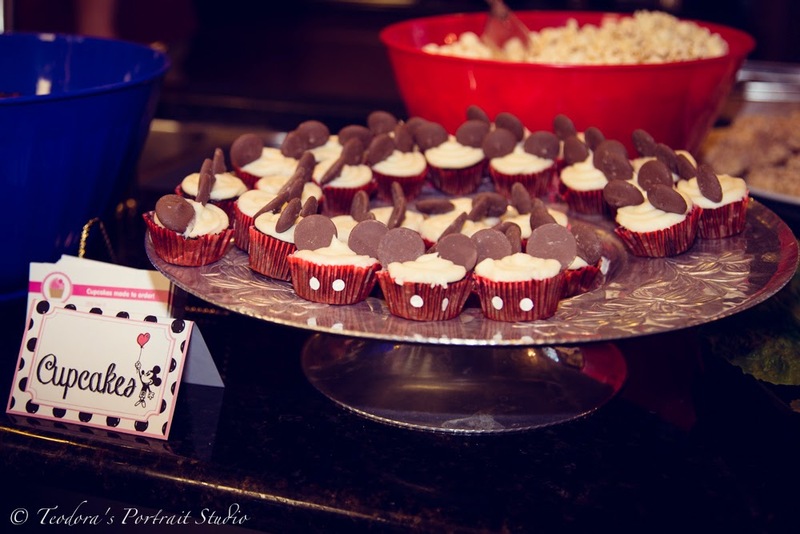 There were cupcakes, cookies, and Mickey Mouse rice krispie treats. In looking at the pictures I can’t believe I didn’t take a picture of the rice krispie treats because they were a labor of love! I made three double batches and used the Mickey Mouse cookie cutters that were in the hostess kit. I am sure if you weren’t making so many rice krispie treats your hand would not hurt using these cookie cutters but they hurt me! Several local bakeries contributed their baked goods for this party. And they all tasted divine! We did provide beer and wine along with all the juice boxes and izzies you could drink! For decorations we used the hanging directions provided in our hostess kit and then also bought some more. We had decorations hanging from the ceiling all over the entire house and outside on the patio. If you haven’t used these before, go buy them now! The kids loved them! I made flower arrangements using pinks, yellows, whites, and reds for the flowers. We had pink and red table cloths. We did have to rent tables and chairs to accommodate everyone. 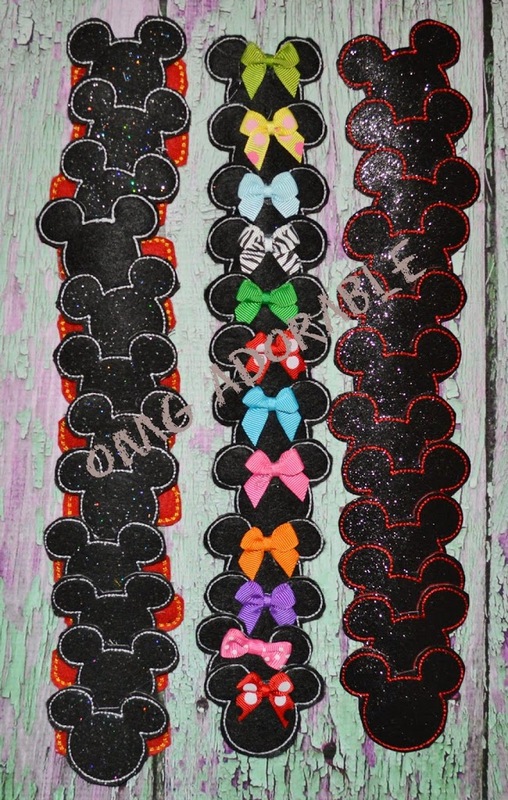 We had a custom Show Your Disney Side banner that was donated by 3 Monkeys Designs! You will see that picture in just a bit. And we of course had a giant Mickey Mouse balloon and other balloons as well. 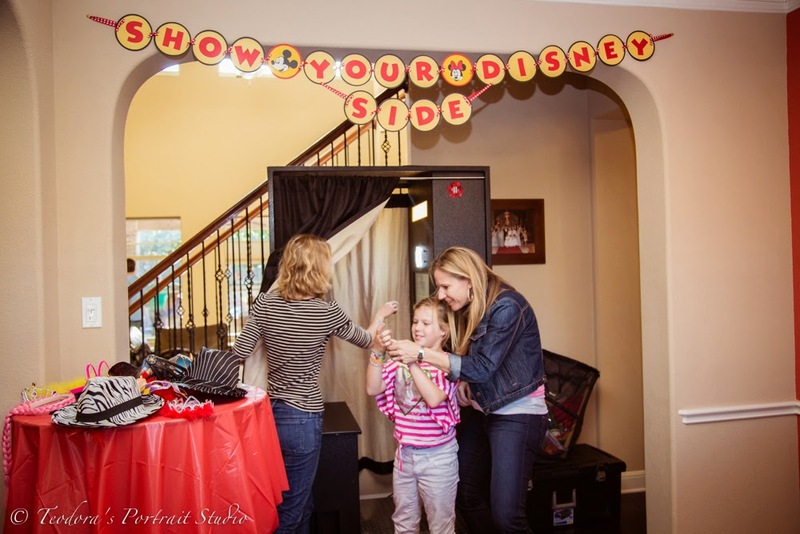 We used red picture frames with some of our favorite Disney photos in them too. You can’t host a party with over 100 people and not have plenty of entertainment. Upstairs we had a lego party happening courtesy of Snapology! I am not sure who had more fun-the kids or the parents. It was a huge hit with everyone. 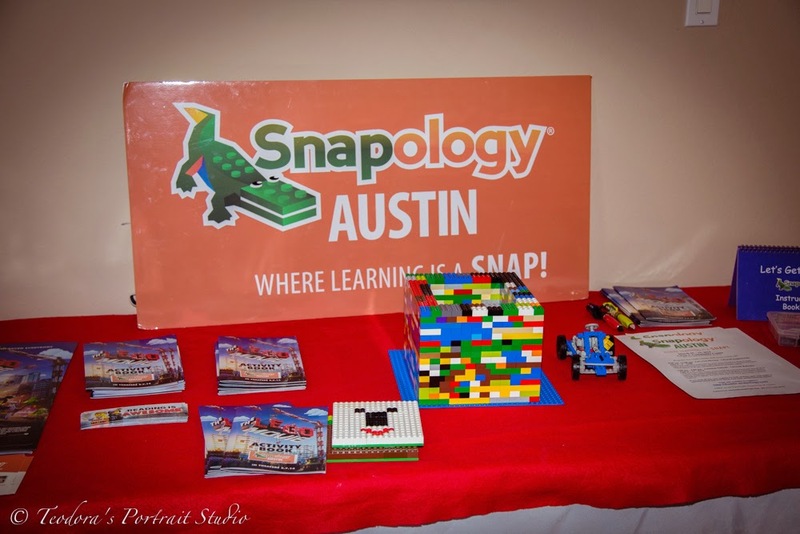 Snapology was a dream to work with and I can’t wait to hire them for a birthday party! I know some guests from the party already have one scheduled and several are signed up for the camps offered too! Win win for everyone! You can also see the cool banner here! Downstairs the next big hit of the evening was the Photo Booth provided by Say Cheese! They came highly recommended by a neighbor and they did not disappoint. I learned that a photo booth is loads of fun for children, even the littlest of guests. I originally had requested this for the adults and older kids coming. When I looked at the photos, I was shocked how many of the preschoolers were in there with their silly costumes and making faces. It was hysterical! Say Cheese is another company I will be using in the future. Professional, courteous, and so easy to work with. They did everything from set up to clean up their area. I posted the entire set of photobooth photos on my facebook page here. Check them out! Downstairs we also had a Disney craft table set up that included tiaras, coloring sheets, make your own valentine and stickers and more stickers. Outside we had a face painter. The kids went crazy for them! They were both talented and the kids really tested them! And we had just good ole run around on the playscape fun too. We also had a decorate your own Mickey Mouse cookie outside too with Mickey Head cookies and buttercream frosting and sprinkles galore. The kids adored their edible creations. As people left the party there was a party favor table set up. The children received a Disney play pack that had colors, stickers, and a mini coloring book in it. The children also got to choose a hair clip, courtesy of OMG Adorable or some of the other goodies from the hostess kit like the blue rubber bracelets. 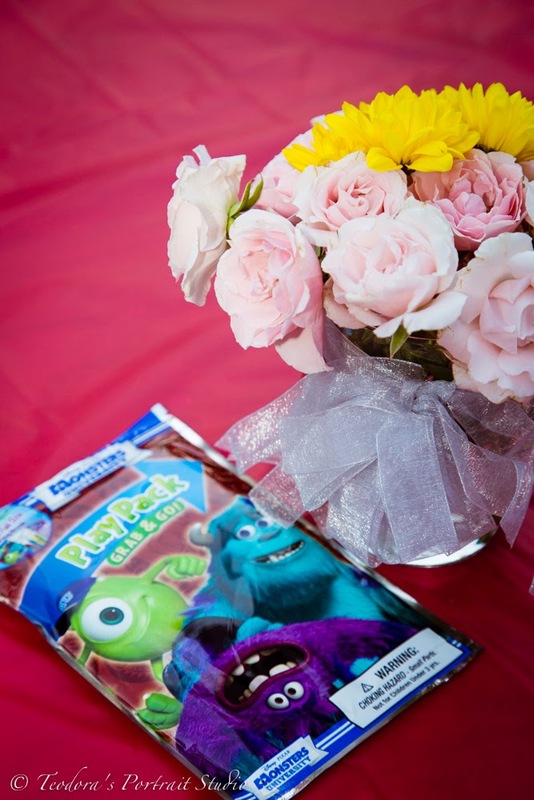 The adults received a goodie bag that had a koozie and Disney toiletries from the parks along with their own thank you card that listed all of the sponsors of the evening so they could connect with them at home on social media. While making the goodie bags I might have realized I have a Disney toiletry obsession given every gift bag had multiple ones and I made 75 gift bags! 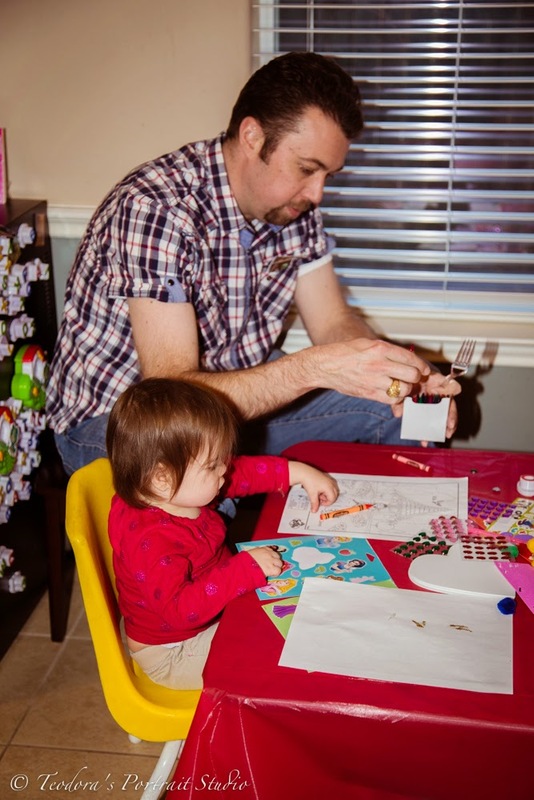 I used the HP Photo Paper provided in our hostess kit to print the thank you notes on. HP Photo Paper is the easiest template printing paper I have ever used. I am printer challenged to say the least. There was also a place for the sponsors’ business cards to go as well so that people could take the ones they connected with. I know we did not have to go this big for our #DisneySide @ Home Celebration. We were only asked to invite ten people. There would have been no way we could have chosen just ten people to share our Disney love with. I consider this to have been a once in a lifetime opportunity to get to participate in a nationally coordinated event and we did go all out for it. It was worth it! We are still getting compliments on the incredible party and I am still getting asked for different sponsors’ contact info which I also love! We helped get them some great local exposure and they helped make the night truly incredible. Thank you to the people who coordinated the #DisneySide @ Home Celebrations! You know who you are and I hope you enjoyed our recap! Once again, I was given some free products in order to host the Disney Side @Home Celebration. The opinions expressed here are my own. 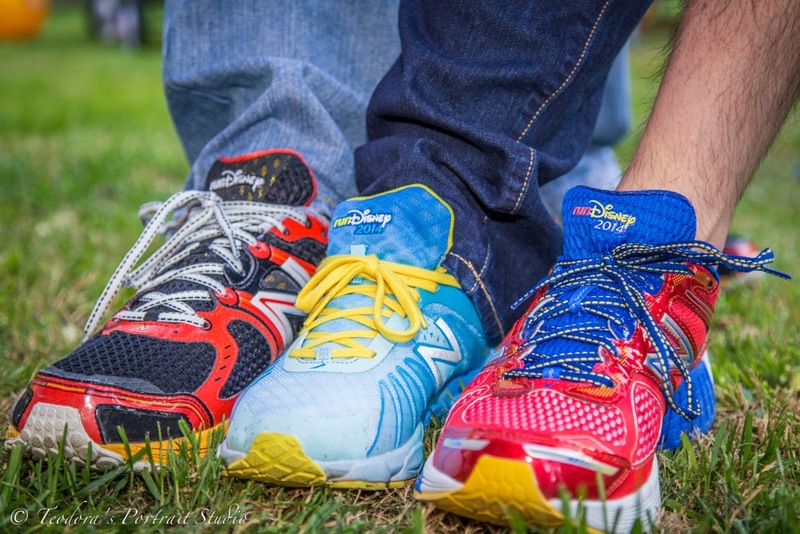 How do you show your #DisneySide? 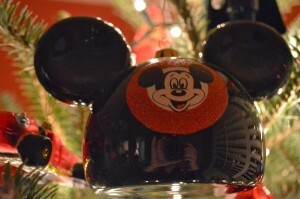 Check out Disney Side for some great ideas! Happy Monday Mamas! This week we have teamed up with some amazing bloggers from all over the blogosphere to bring you this amazing giveaway. This giveaway is open to US Residents age 18 and older. Giveaway will run from February 24 – March 3, 2014. 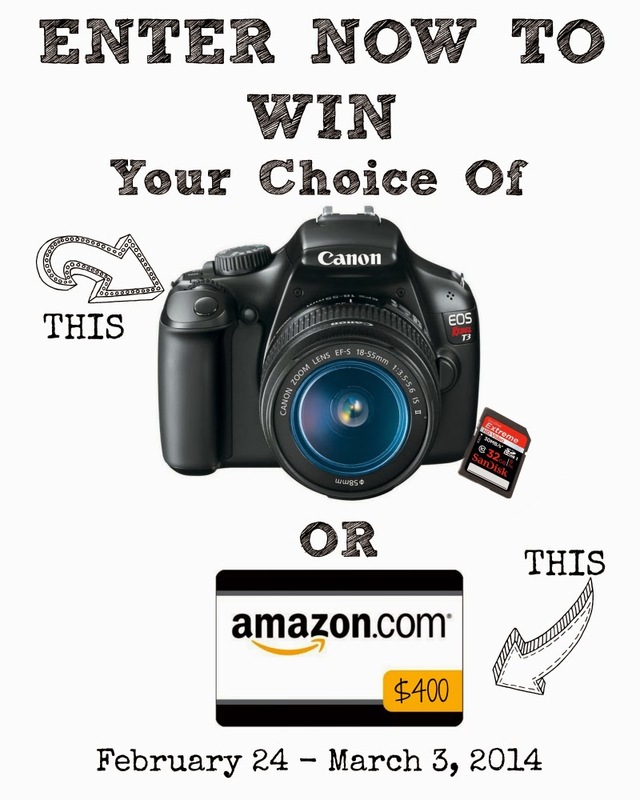 One winner will be chosen to receive their choice between a Canon Rebel t3 or a $400 Amazon Gift Card. Winner will be notified by email and will have 24 hours to claim their prize or a new winner may be chosen. You can enter using the rafflecopter box below. Be sure to get your daily entries for tweeting about the giveaway. 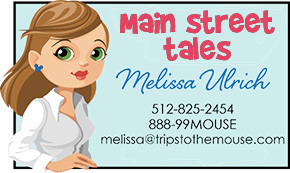 Hi Mamas, I know you are on the edge of your seats wondering who the newest blogger will be here at Trips to the Mouse. Today I would like to welcome Spencer Ulrich. Yes you aren’t mistaken, we have the same last name. 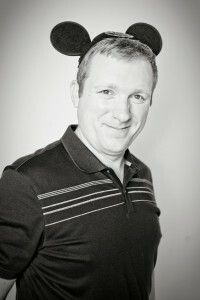 He is my Disney Darling Husband. He has been helping me behind the scenes for some time and some of you have had the pleasure to get to know him during the planning of your vacations. 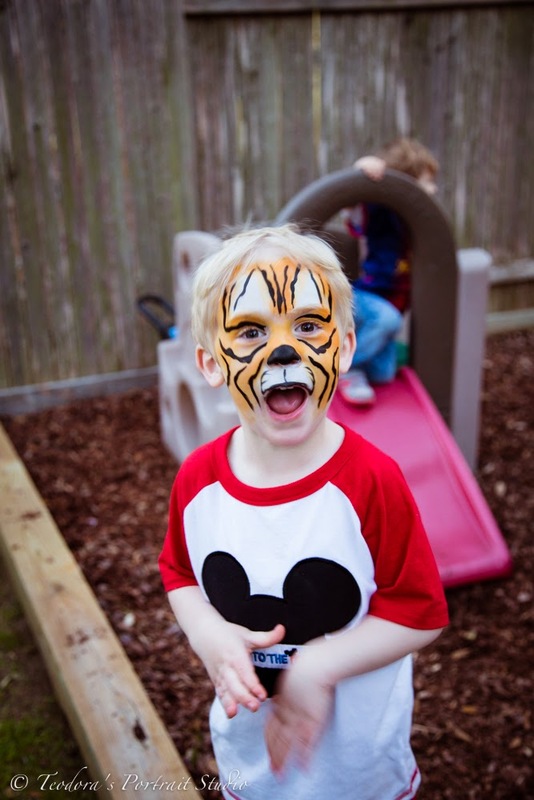 I will let you in on a secret-he was a Disney fan way before I had even had my first visit. He was a lucky kiddo who took many trips as a child with his grandmother. I will let him give you a more thorough introduction on Thursday which will be known as Daddy Thursday from here on out. Much like the past year, there will be a theme to each week and you can look forward to hearing a different perspective from each of us. We may be married but we definitely have different favorites and opinions when it comes to our #DisneySide! We hope you will join us each Monday and Thursday for a closer look into all things Disney. If you have an idea or something you want to see us cover just email us any time! Now that the special announcement has been made let’s get on with the post. 1) We save you time. Your time is valuable and you are no doubt short on time. Sound familiar? The most successful people know how to delegate some of their to do list and your vacation can certainly fall into that category. I save you countless hours planning and researching. You can be as involved or as hands-off as you choose with me on your team. Consider your to do list transferred over to me and all will be taken care of! 2) Hands-on Experience- Disney changes often. 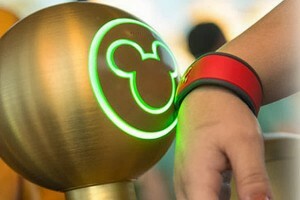 It’s a fact, Disney is one of the most innovative companies around and with that innovation comes fast moving changes. What you experienced two years ago or even last year isn’t the same this year. The travel tips you researched then are most likely outdated. It is my responsibility to stay up on these changes. We have in-depth trainings and personal experience with each change that is rolled out. This is especially timely with all the changes surrounding the Magic Bands this year. 3) Money savings! I have saved my clients hundred of dollars on their vacations. Some even over a thousand. There’s no tricks involved here and this isn’t too good to be true. 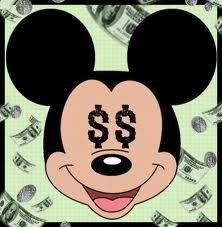 The moment a Disney discount is released I rebook your vacation and send you an email with how much I have saved you. Most of the time my clients don’t even realize a discount is coming out. It’s my job to make sure that happens, not theirs. 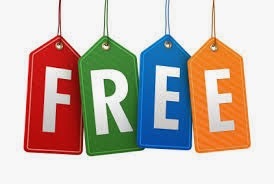 4) My Services are FREE-Yes, free. If you book or transfer your Disney vacation to me, you do not pay for any of my services. I help you choose the best resort, options, etc for your family. I book all of your dining and other activities. And the best part? 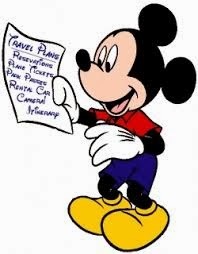 You will pay the same price whether you book directly with Disney or with me. It pays to book with me for all the extra services. 5) I work for you! 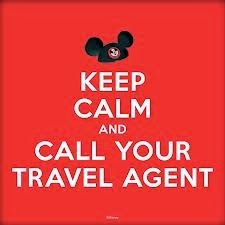 I am your travel agent. My primary goal is to make sure you have the most magical vacation possible. I customize each vacation to meet your needs and desires. You have my personal cell phone and email address and you can reach me directly. You don’t have to worry about a call center or how many questions you have. I am here to help you through it all. We deliver the most incredible guest service possible and your happiness is how we measure our success. Stay tuned to Thursday’s post where you will meet Spencer personally. In the mean time, please share with me what you would like to see covered in a blog post soon. I would love to hear your feedback! Next week we will be going in depth with the Magic Bands and Fast Pass Plus to help you understand how to get the most out of your vacation with these new and exciting features! Hi Mamas, We are sharing some of our favorite holiday traditions with you this week and one of my personal favorites is decorating our home for Christmas. Christmas is my favorite holiday as you all know. 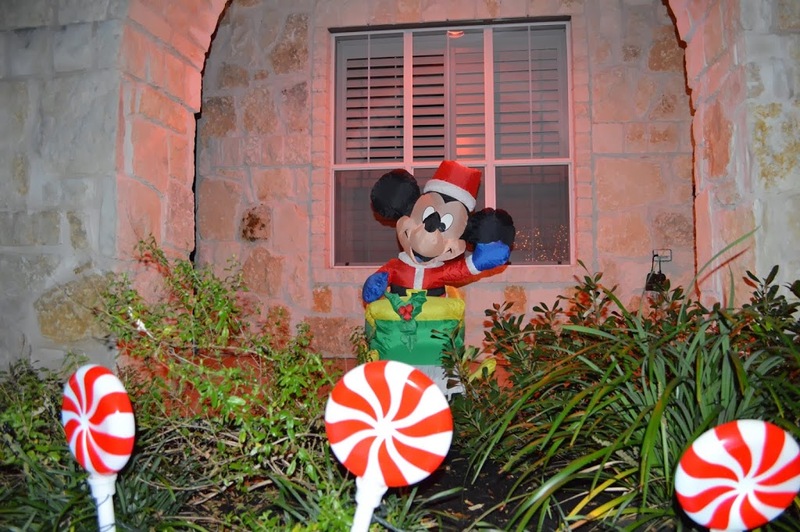 We don’t go completely Disney in our decorations but there’s quite a bit. 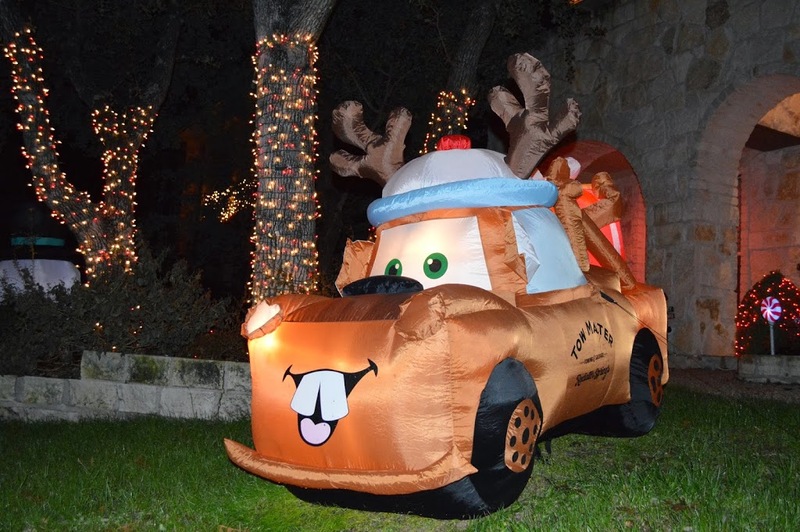 Outside you will find Tow Mater and Santa Mickey! My sons like to say good night to them often. 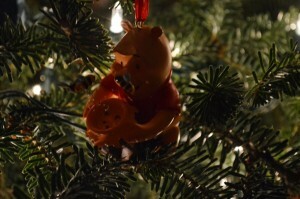 Inside you will find most of our Disney decorations on our tree. The tree is not all Disney though. Actually I would say most of it is other ornaments. 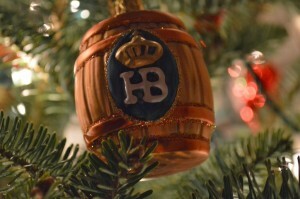 Each year we do get a few new ornaments. Sometimes we each get one and sometimes we get a family one. A few of our favorite’s from years past are below. Each one has special meaning from the Mickey Ears that were a gift following a multi-family trip for Mason’s first birthday, to Reed’s first ornament(Pooh), Jiminy Cricket is my husband’s favorite, and the Hoffbrau is one of the ones we have bought at Epcot. And this year we opted for the family ornament-a Disney cruise ship, since we enjoyed the holiday cruise on the Wonder this year. Under the tree you will find some presents wrapped with Disney wrapping paper. This is the first year in quite a while that I went that route. The paper at Target had a vintage feel to it and I loved it so there it is. Santa wraps in a different paper in case you were wondering. 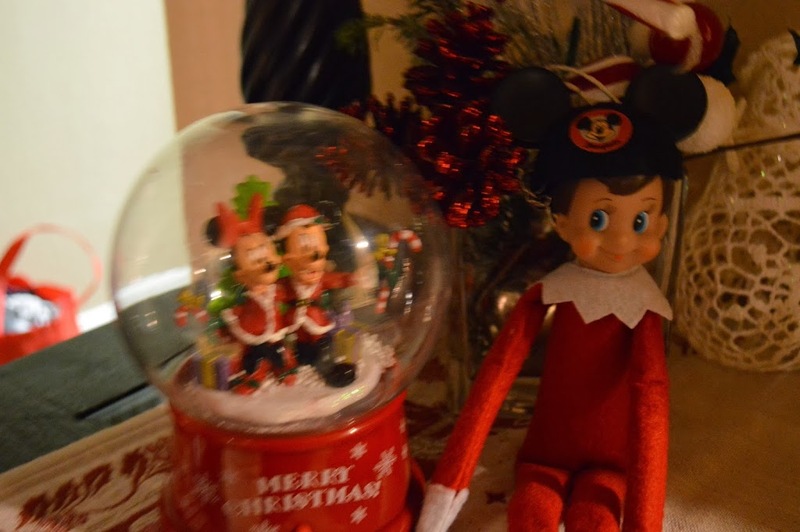 And last but not least, Buddy our Elf gets in the Christmas spirit and likes listening to the snow globe with Mickey and Minnie. 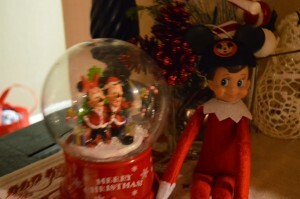 He even received his Mickey ears this Christmas too! 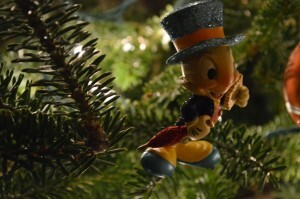 Other than all the wonderful Disney touches, the part I love about decorating our home is doing it together. It’s an all hands on deck adventure and usually takes two days to complete. We decorate the outside the week of Thanksgiving and the inside is usually the day after we get the outside decorations up. This year I had a special moment with the boys when they really wanted to touch the nativity set. It’s a sentimental set and very fragile. I let them touch it though and I told the Christmas story to them. I love those moments that aren’t planned but end up just right this time of year. I hope your holidays are filled with a lot of precious moments and family traditions and that you are warmed inside your heart. I will be taking a week or two break from blogging as I make some changes to the blog. Here’s a hint though-there will be a new blogger joining me for 2014! Stay tuned on facebook to see exactly who that might be. 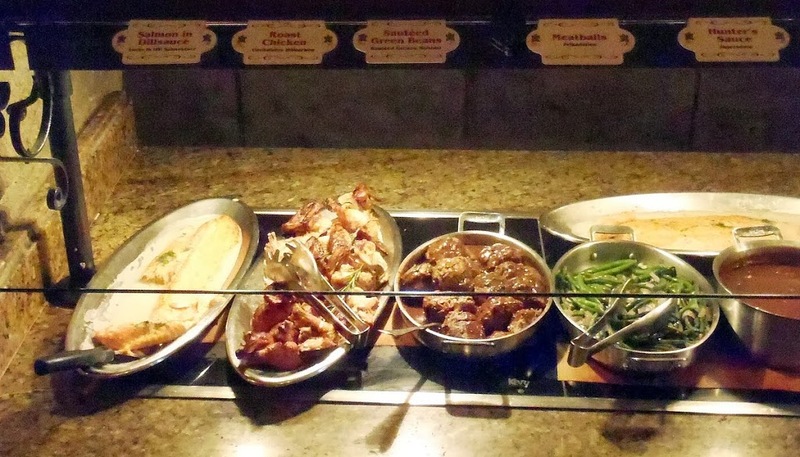 Mama Monday : Favorite place for a Holiday meal at Disney! Hi Mamas, Today we are visiting the Biergarten in the Germany pavilion at Epcot. 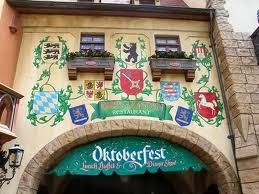 It is one of my favorite places for a holiday meal. Our families are of German descent and there’s something about having authentic German food that puts me in the Christmas spirit. It reminds me of Christmas at my great grandma’s house. I love the dancing and music too. 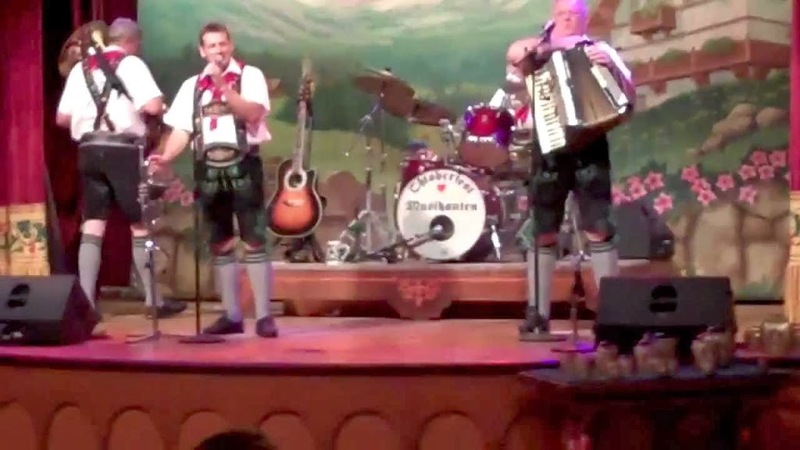 The Biergarten is part of the Candlelight Processional lineup each year and is worth it! You can have lunch or dinner and have a reserved section of seating for the Candlelight Processional which is the ultimate in a holiday celebration. 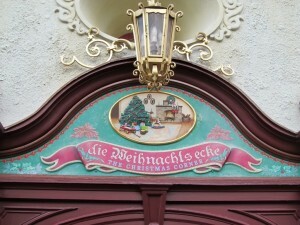 Before the show pay a visit to die Weihnachtsecke. 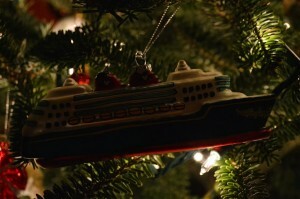 You will find every kind of Christmas ornament you might desire there. No matter what time of year we go, we buy an ornament here for our tree. 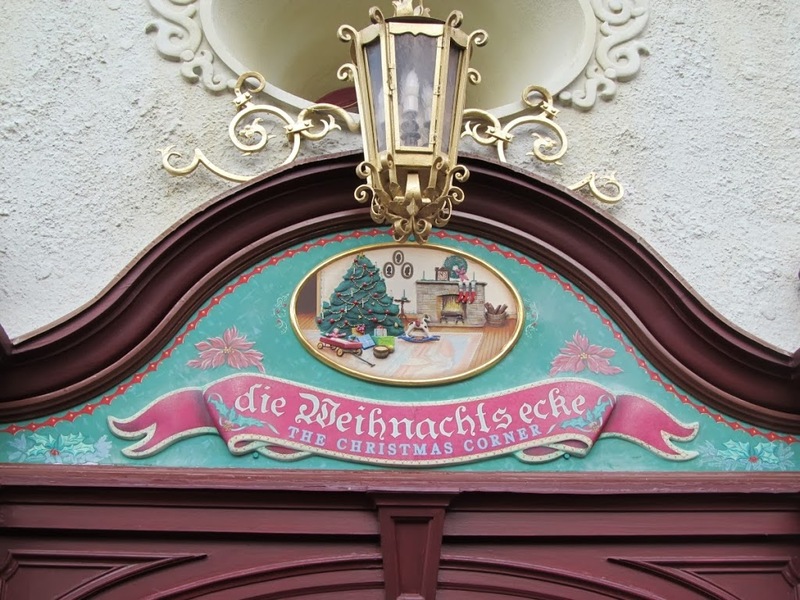 Please note the processional is not actually offered on Christmas day but the Biergarten is still a perfect place to visit on the actual day of Christmas also. It does get booked so book early! I would love to hear from you on where your favorite holiday meal location is.